FAQ Friday: How Can LLI Be Integrated into FPC? 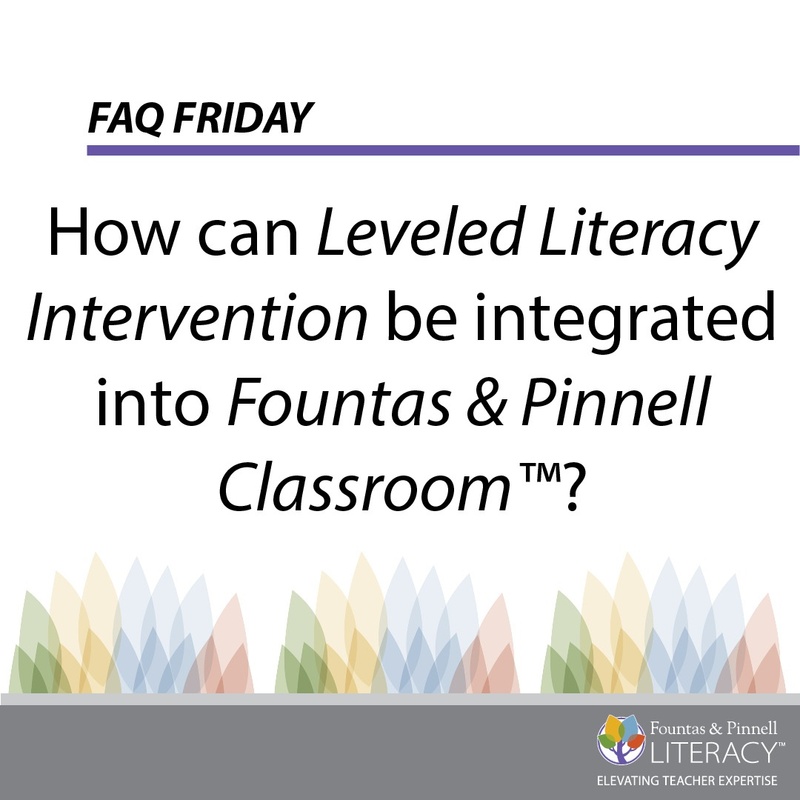 Q: How can Leveled Literacy Intervention (LLI) be integrated into Fountas & Pinnell Classroom™ (FPC)? A: LLI supplements FPC for children who need something extra. All children should have high-quality classroom-based literacy instruction, and LLI is the most coherent supplementary literacy intervention to FPC for students that need extra support to achieve grade level proficiency.